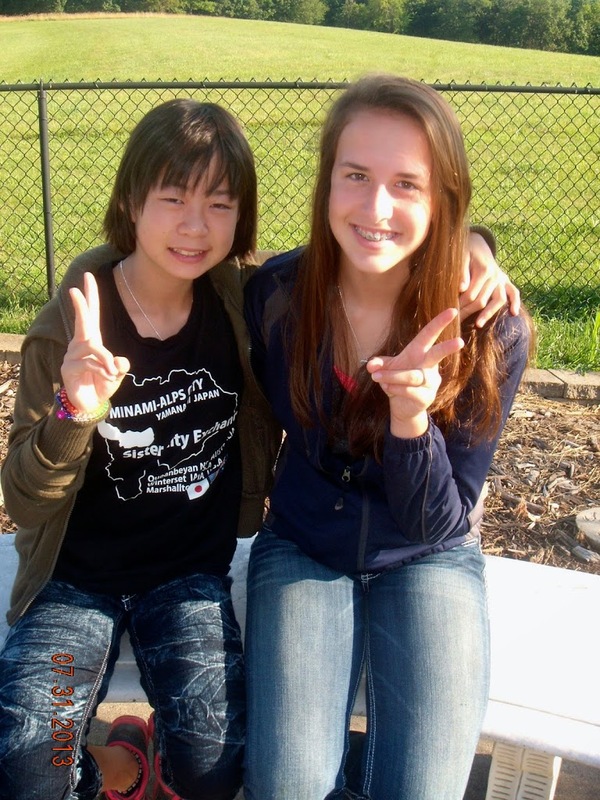 For over 20 years, Winterset has participated in a student friendship exchange program with the city of Minami Alps, located in the eastern foothills of the Southern Alps of Japan. Chances are, you saw the group that visited here around this time last year, or know someone who helped to entertain them. They’re always a gracious bunch! 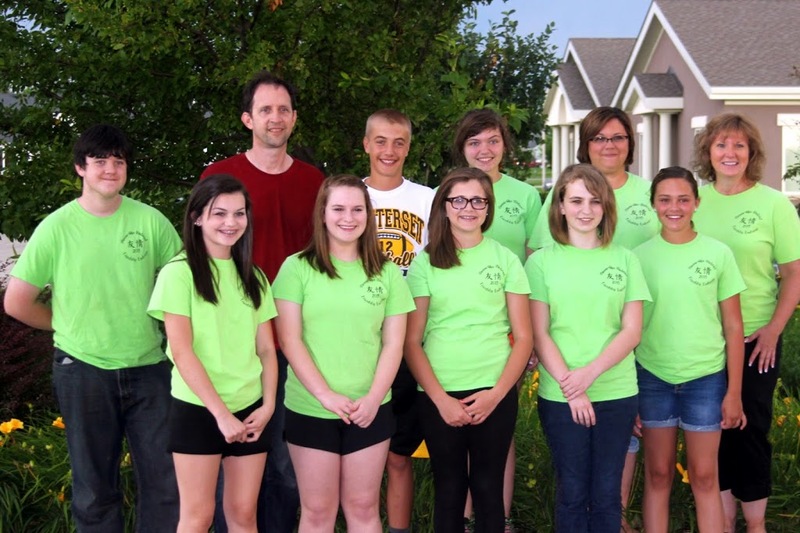 Every other summer, a set of 13 and 14-year-old students and chaperones from Minami Alps comes to Winterset to be hosted for ten days by families that have chosen to participate in the program on our side, and the following year, our students and chaperones make a return trip for ten memorable days in Japan. It’s a once-in-a-lifetime cultural experience for all. Made possible by sponsorship and partial funding by the city of Winterset, this two-day program is open to area students in seventh and eighth grade. There is no requirement for participation, other than indicating an interest and being able to participate in raising the additional funds needed to host the incoming group, planning activities for their visit, and raising funds again to purchase plane tickets for the following year’s travel. It’s a two year commitment. A total of ten students can go, down from 15 a few years ago, and at the present level of interest they’ve never had to turn a student away. In fact, they could have taken one more this year. (If at some point they have more interested participants than seats they will create a process for selection, such as they do with the chaperones, but they’ll cross that bridge when they come to it.) 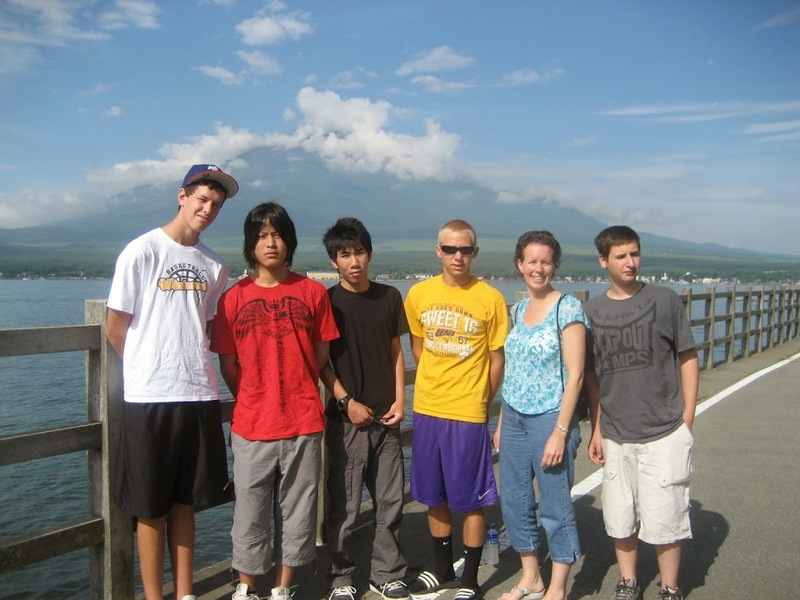 This year there are nine students traveling to Japan and four chaperones, and they leave this coming Tuesday, July 22nd. It’s just a 17 hour flight — no problem! They look ready to me. Not pictured with the group but also attending this year are student JoAnn Nielsen and chaperone Lou Erpelding. JoAnn is the daughter of Dan and Lonna Nielsen, who have put all four of their kids through the program over the last nine years — nine years instead of eight, due to a swine flu outbreak that caused a one-year delay in the Winterset group’s return trip to Japan, the same year that Lonna went as a chaperone with her son, J.D. “There’s so much to do and see, and each kid takes away something different from it,” she said. “At that age, to see a different part of the world and experience that culture is invaluable, and something I’m glad to be part of.” She is not worried about sending her daughter JoAnn without going as a chaperone herself this time, because she has been with the program long enough to know it’s safe. She also knows they’ll be able to communicate via e-mail while they’re apart. JD Nielsen, not even as tall yet in this picture as he would soon become, was a bit of an attention-getter in Japan! Mt. Fuji is seen in the background. One thing our students get to observe up close is the extent to which some places in the world have to work to conserve their natural resources. They do not see paper towels in the restrooms in Minami Alps; people carry their own towels. Showers are short, and hand-washing is sometimes accomplished by innovative practices, such as a faucet Lonna encountered that flowed above and into the toilet tank so that the excess water could later be used to flush. Great measures are also taken to protect from soil erosion, which we don’t see daily signs of here. If anyone is interested in getting involved with the next round of visits, now would be a good time to express interest. Shortly after the current group returns from Japan, a new group will form to begin the planning process for hosting the group from Minami Alps in the summer of 2015. Also, they are always able to put donated funds to good use if anyone is inclined to provide support. Funds go toward the purchase of plane tickets for our local students, as well as helping to entertain the incoming guests. 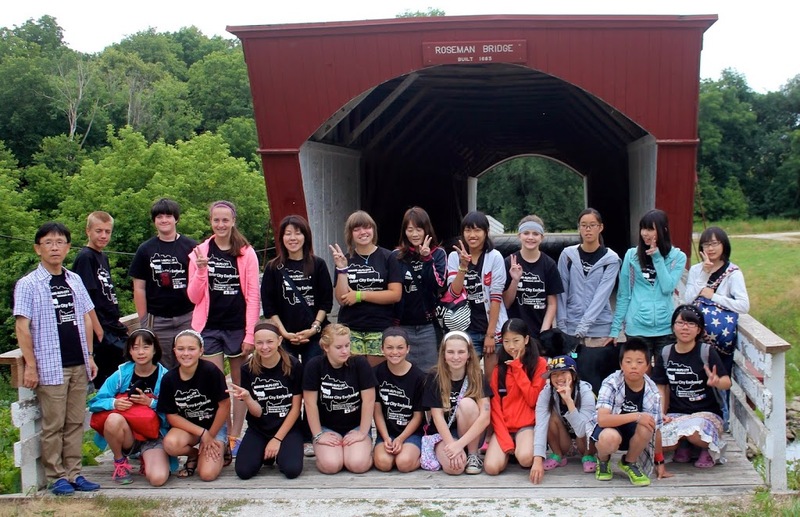 If you are interested in participating or donating, talk to someone who is currently involved (if you see anyone in the photo you recognize), or contact Chris Nolte at nolte@mchsi.com, with the Winterset/Minami Alps Student Friendship Exchange. 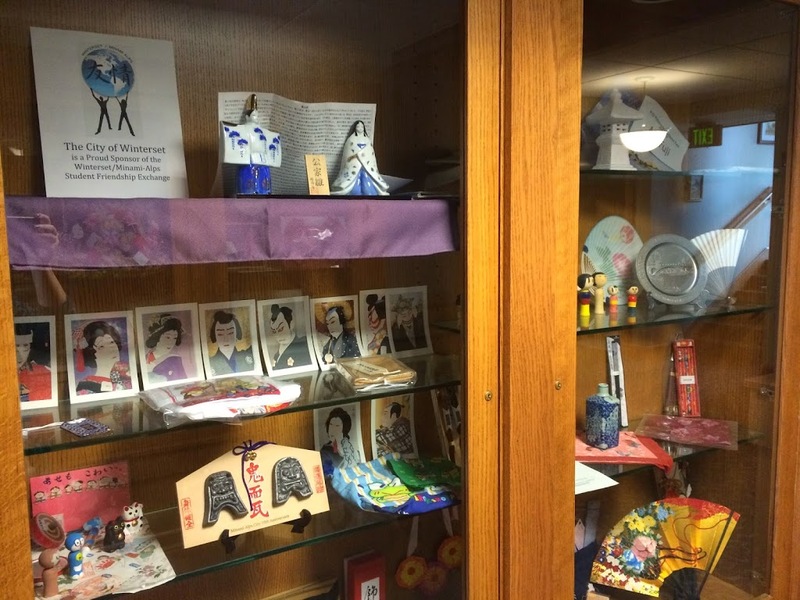 Gifts that the Japanese visitors have brought to Winterset over the years are on display in the lower level of City Hall.